We have began looking at the famous (or infamous, depending on who’s talking) episode of philosopher of science Paul Feyerabend’s “defense” of astrology, in response to an anti-astrology manifesto put forth by skeptic Paul Kurtz and co-signed by 186 scientists, back in 1975. This episode is the occasion for a recent paper by Ian Kidd, to which I have been invited to write a response by the journal Social Epistemology. Another way to put this is that Feyerabend was calling the scientists’ bluff: while they liked to portrayed themselves as the open minded defenders of reason, they were in fact acting as close-minded dogmatists by dismissing notions that they had failed to investigate for the simple reason that they knew, a priori, that such notions were false. In acting this way, the scientists who signed Kurtz’s anti-astrology manifesto, in Kidd’s interpretation of Feyerabend’s view, acted unvirtuously, betraying the very same high ideals they said they were defending. Interestingly, Kidd contrasts Feyerabend’s approach with that of Michael Polanyi: “What seemed, to non-scientists, to be reactionary dogmatism was, in fact, a spontaneous evaluation both generated and justified by a tacit sense of plausibility. Polanyi concluded that since that sense is historically informed, collectively supported, and a product of practice and discipline, those scientists were right to trust it.” And I think Polanyi had a good point indeed. Kidd was then offered by the editor of Social Epistemology to reply to my reply, and I in turn to reply to his reply to my reply. I will address that second round of the discussion in the next post, tomorrow. This entry was posted in Massimo's Technical Stuff, Philosophy of Science on August 30, 2016 by Massimo. The actual reason we live in a constant state of war, in this day and age, is because money is “manufactured” by buying public debt and the largest source of public expenditure, on the Federal level is “defense” spending. It’s Keynes’ “digging a hole and filling it back in,” writ large. Ask yourself, if the Federal Government wasn’t 21 trillion dollars in debt, with Federal treasury notes being considered the safest form of savings, where would “capitalism” be? Everything else is largely scapegoating. Which isn’t to say tribalism, the many functioning as one, wasn’t been a cause of conflict in previous times, though that is a bit like saying individuality is the cause of interpersonal conflict. Occasionally goals conflict, but that is a consequence of having goals in the first place. Today though, we function as one by being part of this global economy, with the hopes that lead and fears that herd us being fairly abstract, to those not on any actual fault line. Even those actually being crushed underfoot, or those doing the actual crushing, are pieces in some larger process, but then that is eternal, just like having group identities. Garth, Do you identify with any particular group of people, or as an individual in the global economy, or some some other relationship to society and the planet? There are substantial methodological and conceptual difficulties; the unavoidable universalist implications of a general definition of astrology cause any test of astrology to be a test of astrology and something else. Feyerabend’s paper points to some attempts. A theory of astrology will have to deal with its impalpability. I identify only as a human. Citizen of the world. I have no affinity or loyalty or special connection to any race, ethnicity, religion, country, language, etc. Just a human trying to make life better for other humans. For now, I feel that pointing out this problem of tribalism is the best thing I can do even though it makes me a vile person in the minds of the tribalists. No, garth, what makes you vile is your obnoxious, nasty characterization of things that really matter to people with whom you are talking as consisting of “unga, bunga, bunga” thinking. Nice try though in whitewashing your incivility. Unfortunately for you, everyone can go and read what you wrote. The problem I have with your position is similar to my views on the scientists knocking astrology, without considering how the premises, if not the conclusions, are foundational to the scientific process in the first place. It is like trying to imagine a house without a foundation. How can you make life better for other humans, when you don’t see any benefit to what most of humanity identifies most strongly with? You can’t solve a problem simply by dismissing it, though that is often a popular method to try. 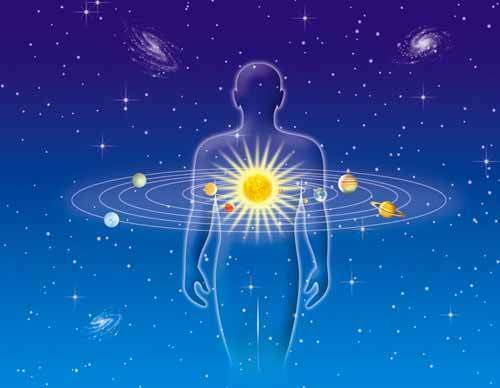 For example, you might feel yourself most strongly connected to the world, if not the universe, as a whole. I, for instance, would be the exact opposite. Mostly my strongest connections are to my own place and time. There are reasons for this. Not to go into too much detail, but I inherited my parents house and a significant part of the farm, which sits on land a fairly distant ancestor, also named John Merryman, won in a card game in 1714. Most of the intervening generations lived within about 10 miles of here. On a professional level, I work with race horses and they are also very here and now oriented and so I have to be as well. So for me, even tribalism would be too broad a circle to really get my mind seriously around. My immediate world is very physically and emotionally dense and when I get out of it, I get overwhelmed by the physical, emotional and psychic density and detail of every aspect of the larger world. Now I can understand the essential premise of being a “citizen of the world.” In many ways those categories of religion, nationalism, ideology, etc. are way to broad and shallow to have much meaning for me either. Yet I both sense and understand why many people do attach to these networks of community and purpose. So I’m not so much arguing with you, as to point out the inherent subjectivity of any particular life and point of view. As they say, one man’s trash is another man’s treasure. Your argument is like saying we should all be networked, without there being any nodes, other than the individual and that is just not how it works. We all need to be rooted into reality, not just atomized points of reference. In fact, it behooves those at the top of this power structure, that we not have any bonds, beyond commerce and media. We might form counterweights to their power. Time to cool it off, okay? Thanks. When my family’s religious traditions are characterized in terms of the sounds made by apes, it tends to upset me. I know, I’m strange that way. Not sure what sort of reply you would expect to that degree of incivility. Indeed, I’m surprised you allowed it. Stunned a bit, in truth. I think you are taking Garth too seriously. Yes, his comments are often in poor taste, which is why I ignore them. Also, please remember that I often simply skim comments because I just don’t have the time, so occasionally something that I should have caught slips through. As I’ve explained a number of times, moderating is a tricky art, since one has to balance the need for open, even challenging (and therefore sometimes offensive) behavior with the ideal of fostering a community of rational thinkers who engage in constructive dialogue. I apologize for my failures in this respect, in doing my best. Massimo: I appreciate your response and more than sympathize. Yes there are people who believe one should never insult a person’s deeply held beliefs so as not to upset them. I’m just not one of those people. Ban me. Trying to give ideas and traditions the same cloak of protection from criticism that we afford to race and ethnicity is a low ploy in my view. Garth, I don’t personally object to the use of labels like “tribalism” to label religious traditions. I do think that your onomatopoeic addition was rude and could have been avoided. And please stop “daring” me to ban you. I’ll decide whether and if. You’ll know. Most of humanity has been brainwashed from birth into ancient cults and tribes through childhood indoctrination. It’s child abuse in my mind so staying quiet is not an option. The evidence seems clear that people actually do not need this thing you say they so strongly identify with. They have just been brainwashed into thinking so. People are escaping this ancient ignorance by the millions thanks to those speaking out. That’s how we can make life better for them and everyone else. By speaking out. Right, you’re not insulting anyone’s family. You’re just talking about generic, non-specific people. I don’t think saying that religion is about cults brainwashing people is beyond the pale. Sure, a religious person can take it as an insult, but then again most people take criticism of any sort as insults. That said, the Dawkins-inspired “child abuse” line is sheer nonsense, in my opinion. To equate “religion” with “brainwashing cults” is unserious at best. Episcopalians are a brainwashing cult? Reform Jews are a brainwashing cult? But yes, it was the statement that I and everyone else who has raised their children in a religious tradition have engaged in “child abuse” that i was mostly focusing on. Insult after insult. Slander after slander. Makes civil discourse quite difficult if not impossible. But, it’s your living room not mine. I don’t allow such people in to begin with. What really are they escaping too? The suburbs? Globalism? Democracy? Capitalism? Technology? Social atomization? Car culture? Drugs? Rat race? Science? Revolution(s)? Yes, you can break any box open, theoretically, but how do you not end up in another box? Just keep moving faster and faster? What direction(s)? Won’t that create a rut, if done blindly? Follow the light? Just don’t get burned. It depends on how you look at freedom of religion. Some people seem to think that the freedom in question ought to be granted to the religion itself, rather than to individual people. I think that the freedom should be granted to individual people to choose their own religion, or no religion at all, including children, who I don’t see as the property of their parents. Lets not be ridiculous and try to suggest that children raised in religious homes freely choose their own religion. The religion of their parents is indoctrinated into them and ends up becomes something they have to mentally escape one day if they want to experience true freedom of thought and religion or no religion. Some of those lucky ones who escape end up balling their eyes out when they meet Richard Dawkins or Sam Harris at a book signing because their books helped these people to deprogram themselves from their childhood indoctrinations/parents lying to them. It’s pretty hard to make the case that individuals experience freedom of religion in a world where almost every religious person just happens to be the religion of their parents. The idea that children raised to pray to, and thank God for their food, and shelter, and everything else good in their life, from the age of 3, are then fully free to just chose their own religion when they hit, what, 12? 14? 16? 18? 24? Ironically, and sadly, because of the nature of religion, the only people who actually end up having true freedom of religion are those raised in secular households. So yeah, I’m sorry if it makes those who raise their children in a sectarian religious tradition feel insulted, but I consider it a violation of freedom of religion via the most powerful form of coercion, parental childhood indoctrination. The asininity of thinking that the major religions that dominate our world today are popular because they are so awesome and comforting and helpful is just stupefying. They are cults that could not would not survive without the practice of childhood indoctrination. They are escaping from traditionalist thinking to free thinking. You really shouldn’t equate every belief with its more extreme manifestations. It is like saying every conservative is a Nazi, or every liberal is a politically correct statist. I have often argued the central premise of monotheism, an all-knowing absolute, as Pope John Paul 2 succinctly described it, is flawed. An absolute is a pure, unadulterated state, not an ideal. If there is a spiritual absolute, then it would be the most elemental essence of consciousness/sentience, from which its biological manifestations would rise, not an ideal of knowledge and wisdom, from which humanity happened to fall. Knowledge is a quite subjective and selective process of distilling signal from the noise and editing it to uses we find helpful. Basically it conflates oneness, i.e. the network, with one, i.e. the node. And as I’ve also often argued, this object oriented way of thinking is distinctly western, which is why “gods” are not that important to eastern philosophies/religions, while “spirits” are. As I see it, one of the main reasons Judaism is not particularly absolutist in its religious practices, is because it is tribal. That the people and the community are every bit as important as the conceptual premise of a universal deity being reflected in them. Christianity and Islam are more universalist in not being tribal, so what moderates the absolutist tendencies are other reasons. Probably that Christianity was both a story of failure turned to success and filtered through Greek philosophy, while Islam was originally very politically successful using absolutist, black versus white doctrines in conquering a large section of the Eurasian continent, it had somewhat moderated with age, before the west poured trillions of dollars of oil money into its more backward and fundamentalist sects. It would have been as if in order to take coal out of the Appalachians, the coal companies had poured hundreds of billions into the local clans and they gave much of it to build up their churches. Then you would have had a far more authoritarian religious culture in this country, than there is. So when you have a problem with others belief systems, rather than simply dismissing the more prevalent and/or obnoxious aspects directly, it is always wise to peel back the layers and take into consideration why they are the way they are. For example, epicycles arose from people observing the sky directly and assuming their point of view to be objective, as most people are wont to do. The problem was solved by looking at it indirectly and understanding the anomalies and realizing we, none of us, you included, don’t have an objective view of reality, no matter how foolish we think everyone else is.